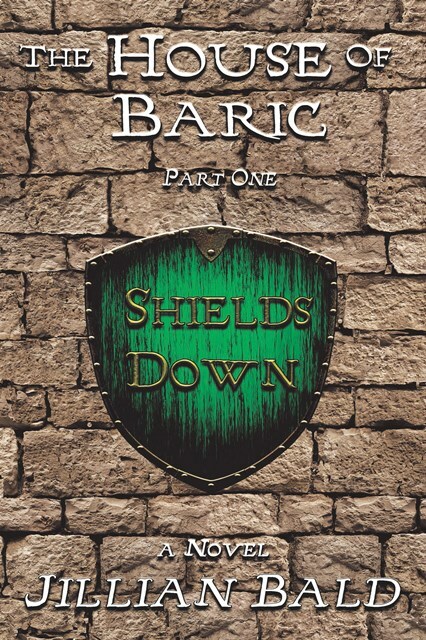 To enter to win a signed copy of The House of Baric Part One: Shields Down please enter the giveaway via the GLEAM form below. – Giveaway is open to residents in the US, UK, Canada and Australia. Aimie, welcome to my humble little blog. It’s a pleasure to have you here! It’s my pleasure, Diana! I’ve been a fan for a long time! 1) How does it feel to hear the words “author” and “published” as descriptions about you? · Amazing! It all felt surreal for a very long time. 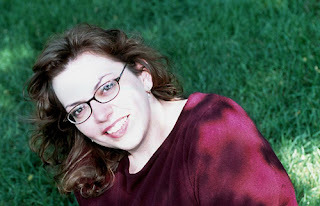 I started using the term “author” when I landed my agent, the amazing Melissa Jeglinski, and it felt okay… but “published” didn’t become a reality for me until I held my first ARC in my hand. It was an ink and paper dream come true. I cried. Not dignified, calm movie tears. I ugly cried in my kitchen over the box (sorry to anyone who got a soggy copy!) I have to say it feels very comfortable, and the writing world won’t be getting rid of me for a long while yet! 2) Can you tell us a little bit about how you came up with this idea? 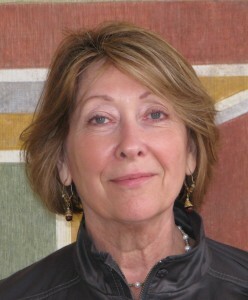 · I was in grad school, taking a class in Canadian Civilization and another course in Creative Writing, among other things. Taking a writing class has the wonderful effect of putting you into story hunting mode, and when the Canadian Civ professor mentioned the brave women who went to help found the French Canadian colony now known as Quebec, I knew I had a story. I wrote a short story, shelved it, and then ten years later, decided the rest of the story needed to be told! 3) You present three different lead characters, and you give us insight into each one’s life. It seems like quite a challenge, how were you able to stay “in character” for Elizabeth, Rose and Nicole? · It wasn’t always easy, but I tried to do myself some favors. 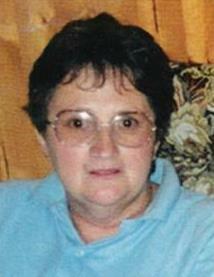 I made them very different women with different backgrounds, interests and desires. They were so distinct from each other in my mind it helped keep them distinct on the page. That’s not to say it didn’t take a lot of work to make it come together. Elisabeth really was the character that came about in revision, while Rose was fairly strong early on. 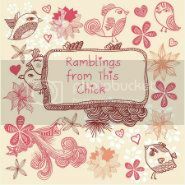 4) Without giving too much away, Elizabeth, Rose and Nicole need a new start. Ultimately, I thought that this was a book about triumphant, what was your intention in creating these three very different women? 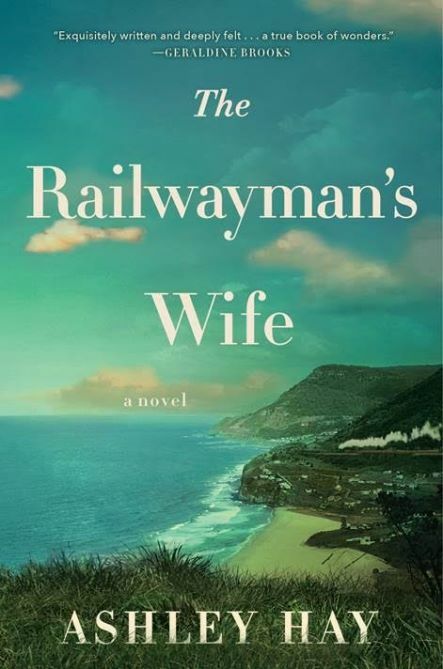 · What I didn’t want to do was dive into the archives, find letters and journals, and tell one woman’s story. I wanted to show the experience of being a ‘King’s Daughter’ with a wider lens. The women were usually poor, but not always. They were usually orphaned, or at least fatherless. Two-thirds of them came from Paris, but the women from the countryside who had experience running farms were the most coveted brides. Ultimately, I wanted to show a cross-section of the women who decided to make the journey and the various options that awaited them in the colony. 5) Through the circumstances they encounter, Elizabeth, Rose and Nicole, are bonded us a family. Did you find that those sent by the crown had a difficult time adjusting to life in Canada? · I can only imagine it was dreadful for the women from Paris, young and unfamiliar with farm life, to adjust to the isolation of life on a homestead. It was a hard life under the best of circumstances. If a woman chose her husband poorly, it could mean her very life was at risk. Surviving a Canadian winter in a cabin with no neighbors for miles was not an endeavor a woman would want to undertake without a hard working and industrious husband! 6) There is a theme of duty in your story. Duty to the crown and even their own religion, how did you find that this was both stifling and liberating for not only your characters but also other filles du roi? · Funny you mention that, since my next book is entitled Duty to the Crown (more on that later). I think it was absolutely a challenge for these women. In the 21st century, we have the luxury of considering our own needs first (if not always, at least often). In the 17th century, family, Church, and Crown came before everything. The decision to marry or bear children wasn’t a question of ensuring personal happiness (unless a person were exceedingly lucky—and even then, love matches were mocked). At the same time, I expect a lot of women jumped at the chance to go to Canada because there were a lot more freedoms. Women had a huge selection of suitors and could choose without their family’s interference. The nuns certainly advised the ladies on their choice, but it was their choice in the end. Social ranks, while still preserved, became fuzzier than in France, and a woman could ascend ranks with more ease than in her mother country. 7) Manon was such a great addition to the three women the book centers around, did you have her character planned from the beginning?
) What do your readers have to look forward to after “ Promised to the Crown”? 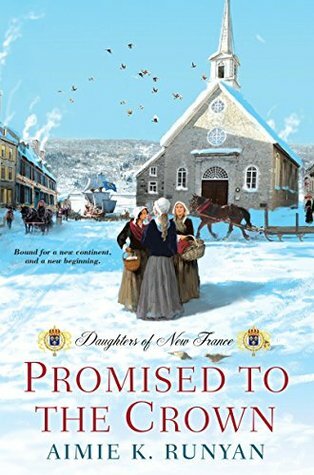 · The second book in the Daughters of New France series is called Duty to the Crown and will be coming out from Kensington Publishing on October 25th of this year. It takes place about five years after the conclusion of Promised to the Crown it follows the lives of my dear, dear Manon and two other friends you will meet in Promised—Claudine Deschamps and Gabrielle Giroux as they grow into young womanhood and continue on Rose, Elisabeth, and Nicole’s path in establishing the fledgling colony. "Promised to the Crown" by Aimie K. Runyan was a refreshing historical read. 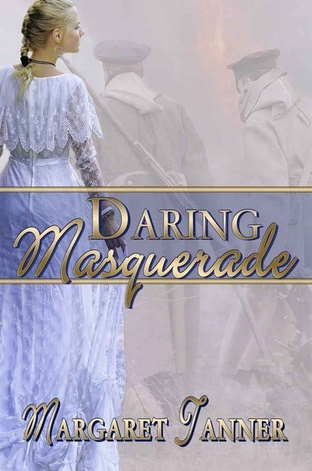 Runyan takes us to Quebec during the 17the Century. First, I loved learning about this time period that I knew so little about! Second, I had no idea that french women, mostly women who were either orphans or in nunneries were called on by the king of France to settle into the new colony in Quebec. Runyan takes us on this intense journey from France to Quebec with Rose, Nicole and Elizabeth. Through the eyes of these three women, we experience their personal struggles and catch a glimpse of what life was like during these very extreme times! Runyan is able to master three very distinct voices. I never felt like the characters were the same and each one had her own very personal story. I can't help but say that Roses story was so heartbreaking for me. I don't want to give too much away, but she had many obstacles to overcome. Despite all the hardship that these three women encounter prior to traveling to Canada and even after, the story felt like a story about survival and hope. I hope that this is a time period that gets more attention because there were so many issues touched about: loyalty to the crown, a woman's place in french society and then in the colonies, the obstacles of establishing life in a new frontier. Finally, and definitely not least, I want to credit Runyan for introducing Manon. She gives us insight into the indigenous of this area and I cannot wait to see what she has in store for her! Next book is out in October 2016, "Duty to the Crown." 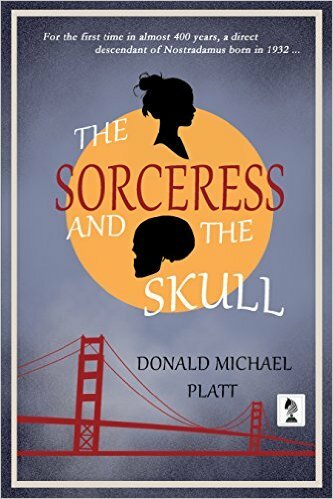 "The Sorceress and the Skull" by Donald Michael Platt was a different read than I am use to. I try to stay away from "dark" text but I thought that although the novella is on the edgy side of dark fantasy it was also very intriguing. Michele who is a descent of Nostradamus. Michele's life is in danger because of her family connections and because of her own special powers. Michele has the protection of her family but that does not stop the dark forces from trying to find her, especially as she grows into adulthood. 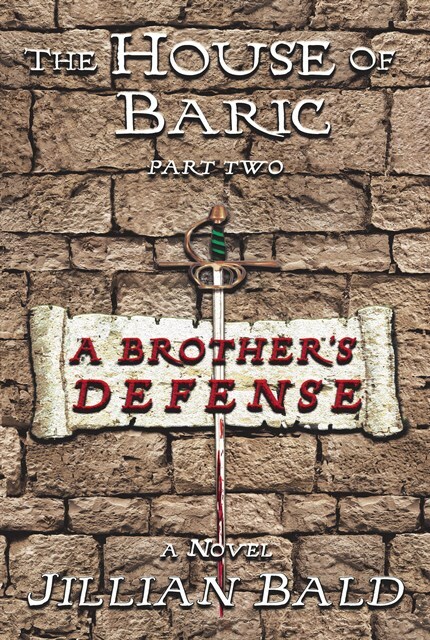 The story consists of Michele's family trying to protect her and the dark forces trying to catch her. Overall this was a fun story to read and it was a great testament to Platt as a creative and engaging author. 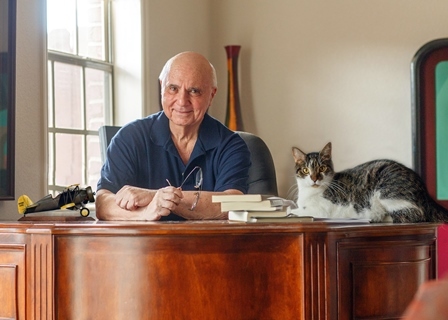 Donald Michael Platt is an award wining author of five published novels: "Rocamora,"an International Book Awards Finalist, and its sequel "House of Rocamora" set in 17th century Spain and Amsterdam during their Golden Ages. "Close to the Sun," a WWII novel about USAAF and Luftwaffe fighter aces has garnered three Indie Book Award Finalist Awards. The Historical Novel Society named his novel "Bodo the Apostate" an Editor's Choice title, calling it "a masterfully-controlled narrative" of the Carolingian Empire. "A Gathering of Vultures," a contemporary horror novel set in Florianópolis, Brazil, was also selected as an Indie Book Award Finalist in Horror. For more information visit Donald Michael Platt's website. You can also connect with him on Facebook, Twitter, and Goodreads. “[Pignataro] creates delicately ethereal landscapes for the pandas to traverse—forests dense with pine and bamboo, snowy hillscapes—while showcasing a playful tenderness in their explorations and interactions… Pitch perfect in its spirit of cozy reassurance.” —Publishers Weekly, STARRED Review! Like the sky, and the trees and the child she holds...A Mother’s Love Grows. 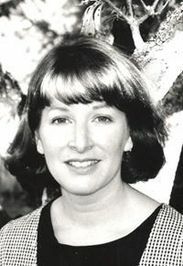 Anna Pignataro is the creator of the bestselling books Mama, How Long Will You Love Me? andMama, Will You Hold My Hand? 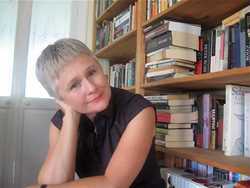 Her works have been translated into eleven different languages, and she has won numerous awards including the Crichton Award for Illustration. She lives in Australia with her family. 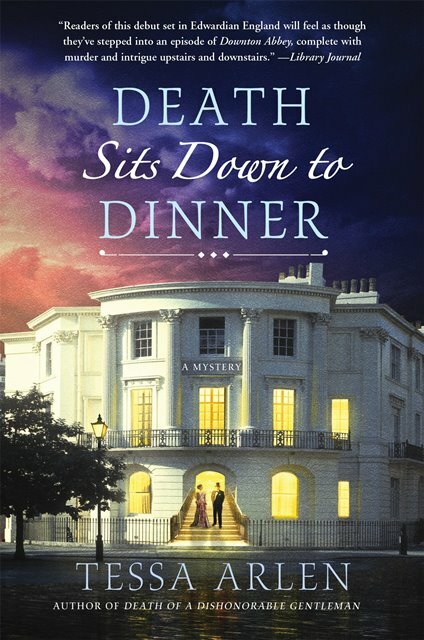 "Death Sits Down to Dinner" by Tessa Arlen was such a fun read! The mystery aspect was fantastic. It was entertaining but not scary. I personally liked the witty commentary that the author made along the story that seemed to be directed as an inside joke with the reader. Since I'm just coming off the Downtown Abbey ride, this was such a great complement to my reading material. Including Winton Churchill as a dinner guest was a fun and creative addition to an already enjoyable story. The writing is very good and I was immediately Finally, I loved the Edwardean time period and the characters all added to the story. Link to Rafflecopter Page, http://www.rafflecopter.com/rafl/display/521ac4c8999/? He blinked, a quick fan of sable lashes, and then those unique eyes of his saw her. Not as a stranger to whom he was being introduced, but as the woman he’d held and kissed. The woman to whom he’d broken every promise he’d ever made. “Against your will, then? This rogue desire to see me finally beat out your better judgment?” Sarcasm had never been May’s strong suit. She hadn’t mastered the right tone. stakes are a marriage he’s already planning for, Rex is willing to go all in. and he’s sure she’ll ruin all his plans. his breathtaking kisses that she just can’t seem to resist. 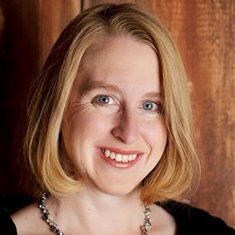 able to combine her love of the past with a die-hard belief in happy endings. Dragon Soul by Katie MacAlister Plus Give Away!